The perfect tax season tool for tax professionals and small business! 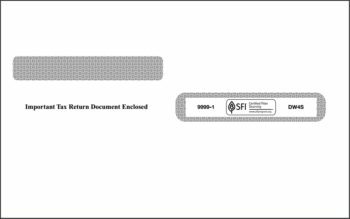 This 6-page guide includes a full run-down on what type of information goes in each box on the major 1099 and W2 forms, plus helps you translate that information to a 1040 form. This 6-page, fold-out guide is printed on heavy paper stock with a protective coating, so you can use it every day during the tax season and it won’t get worn out! The simple format is easy to read, and breaks down the reporting requirements for each box of the major 1099 and W2 forms, including 1099-MISC and more. It makes life easier for even the most seasoned tax pro.